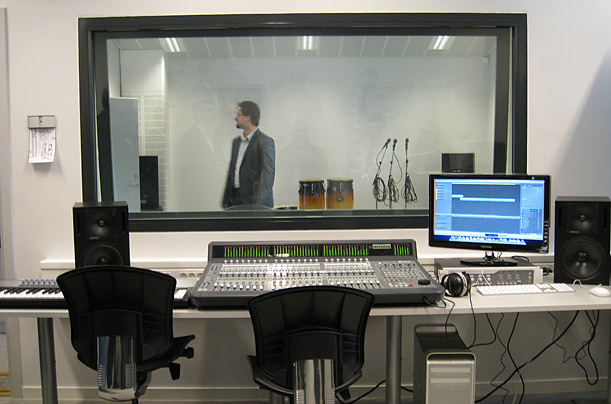 There's also a recording studio with a professional mixing board. In-house music teachers  who refer to the inmates as "pupils," never "prisoners"  work with their charges on piano, guitar, bongos and more. Three members of Halden's security-guard chorus recently competed on Norway's version of American Idol. They hope to produce the prison's first musical  starring inmates  later this year. Photo taken 2010.